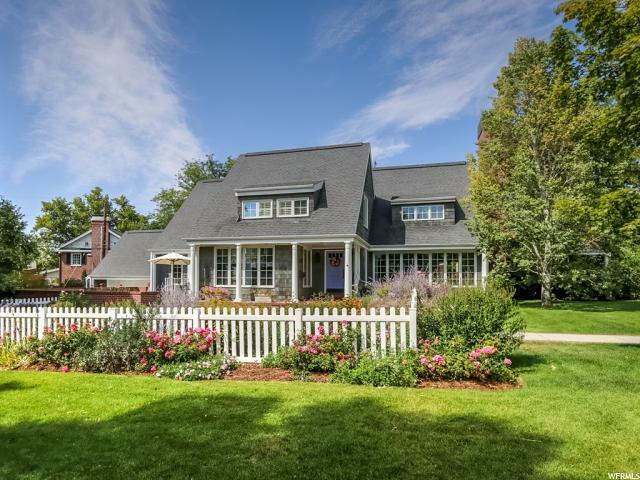 All COUNTRY CLUB ACRES homes currently listed for sale in Salt Lake City as of 04/18/2019 are shown below. You can change the search criteria at any time by pressing the 'Change Search' button below. "Curb appeal and location comes to mind when you see this gorgeous family-sized home. The beautifully landscaped yard, which is fenced and private, makes the perfect place for the kids to play or to entertain. Located in the exclusive Salt Lake Country Club neighborhood, Parleys Terrace is a street of dreams. The east side location provides easy access to the freeway, shopping, and downtown. Both public and private schools in the area are top notch. Once you step inside the home, the vaulted entry with detailed woodwork and the elegance of formal dining and living rooms will most definitely grab your attention. The large and bright updated kitchen comes complete with Kitchen Aid gas cooktop, wall ovens and fridge, farmhouse and prep sink, quartz countertops and hardwood floors. The open plan to the cozy family room with a fireplace creates an inviting combo. Or, if you prefer to dine outside, the French doors lead to the patio. The main floor master bedroom is spacious with a marble master bath that is Parade of Homes worthy. Enjoy the 8 feet long Euro-glass shower with signature hardware faucets, cast iron soaking tub, and Kingston Brass faucets. Wait, that's not all! The large master closet is a dream. Two more large bedrooms are located on the main with a large full bathroom which has its own separate toilet room. The bright basement has a large family/game room, two bedrooms and a full bath. This is the perfect place for the kids. A large laundry room and lots of storage make the basement both fun and practical. Recently updated with new exterior siding, paint and shutters, a new front door with Delaney Italian Collection Handle, all new interior paint, wood floors and carpet, extensive woodwork, new bathrooms with quartz countertops, new light fixtures and LED lighting throughout the home, and new plantation shutters and wood blinds. Plumbing and electrical was replaced in 2006. This vacant and move-in ready home is just waiting for you. Listing price and squar"